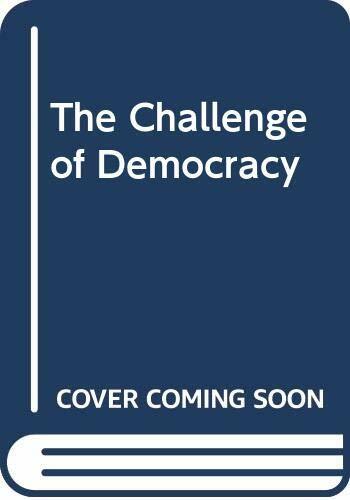 The seventh edition of 'The Challenge of Democracy' continues to explore current political issues and controversies within a highly-acclaimed, non-ideological thematic framework that explores the inherent conflicts in America's political system. Kenneth Jandaworks in American government, political parties, elementary statistics, and computer methods. His books include Political Parties: A Cross-National Survey, Parties and Their Environments: Limits to Reform?, and the American government textbook, The Challenge of Democracy. He cofounded and coedits the international journal, Party Politics. In 2000, he won a ï¿½Lifetime Achievementï¿½ award from the American Political Science Association for his research on political parties. In 2005, he was a co-winner of the APSA Award for Best Instructional Software, and in 2009 he received the APSAï¿½s Frank J. Goodnow Award for service to the profession.